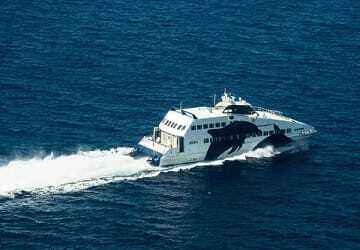 The Paros Thira ferry route connects Cyclades Islands with Cyclades Islands and is currently operated by 4 ferry companies. 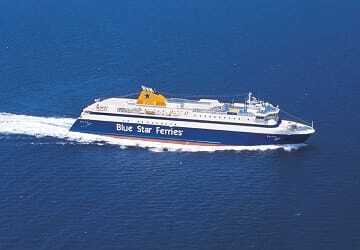 Minoan Lines operate their crossing up to 6 times per week, Blue Star Ferries 11 times per week, Sea Jets 3 times per day & the Golden Star Ferries service is available up to 14 times per week. There are a combined 52 sailings available per week on the Paros Thira crossing between Cyclades Islands and Cyclades Islands and with 4 ferry companies on offer it is advisable to compare all to make sure you get the best fare at the time that you want to travel. Prices shown represent the average one way price paid by our customers. The most common booking on the Paros Thira route is a car and 2 passengers. 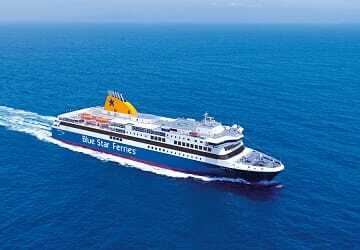 "Great way to arrive in Santorini"
Blue Star Delos is a large modern car ferry with plenty of space and good facilities. Fast and efficient. A great way to arrive in the Santorini caldera. If you don't have a transfer when you arrive, avoid the over-priced taxis and try and get the public bus up from the port! "Now a big fan of blue star!" The boat was on time and the seats fine. But there was not enough place for the luggages, who were everywhere on the floor. Both trips on the Flyingcat to / from Santorini / Paros were found to be on time, no delays in boarding / emabarking and very very quick turn around when stopping at various islands en-route. Very good service all round !! We took the ferry from Paros to Naxos then Santorini. Although it took longer, it was nice to see Naxos along the way and we saved about 10 euros per person! big, new and on time. Good crossing, good cleaning. 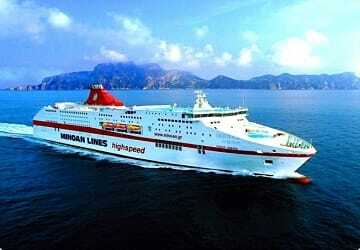 The ship was very well and although we were in economy class, for the crossing duration is quite comfortable.